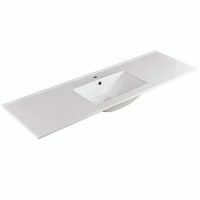 The sleek and stylish 120cm Ceramic Vanity Top is the perfect choice for your vanity. Featuring a modern look and neat design, it will add both functionality and style to your space. The 120cm Ceramic Vanity Top measures 600x460x195mm in dimension. 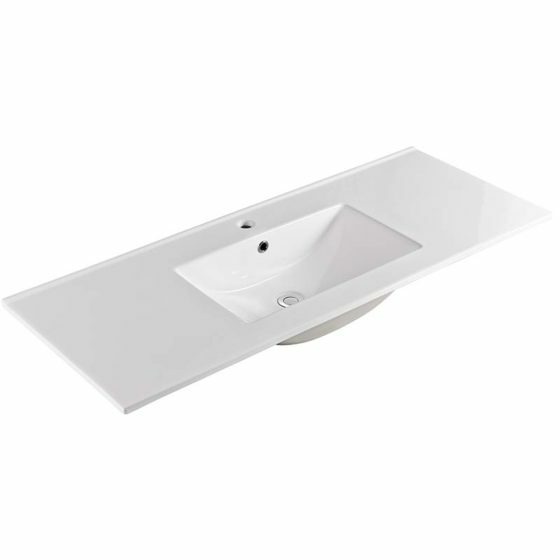 This vanity top comes in an easy to clean design and features an excellent blend of practicality and style. 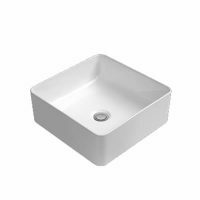 It includes a ceramic inset bowl which comes pre-equipped with overflows is available in a choice of 1 or 3 tap hole configurations. 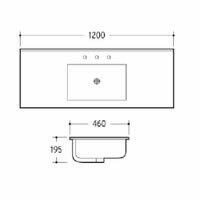 It is suitable for use with a 32mm waste which is sold separately. Experience the best in quality with this vanity top. It is manufactured to the highest standards using superior grade white ceramic, and it is built to last. Trust that it won’t lose its good looks or its functionality, even after several years of use. 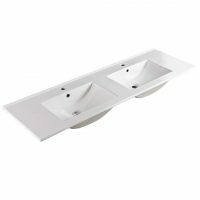 For sleek and stylish vanity tops in Perth, choose the 120cm Ceramic Vanity Top available at Ross’s Discount Home Centre. Purchase this ceramic vanity top at the lowest price in the market from our online store today!